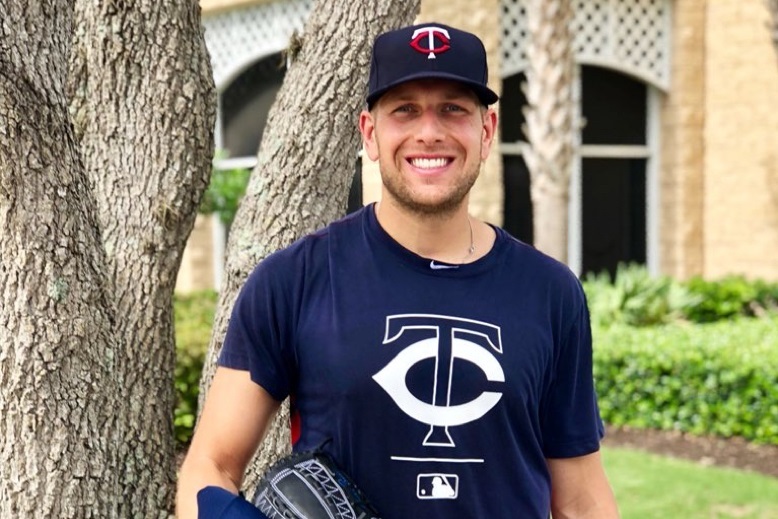 Recently, Twins minor league right-handed pitcher Adam Bray answered questions for Twins Daily.Today, let’s get to know him a little bit. Adam Bray grew up in the shadows of the Metrodome. Not the actual shadows , of course, there weren’t any houses that close to the Metrodome. However, Bray certainly was a big Twins fan. In the summers, he was a big part of some really, really great American Legion teams. After his junior season, the team went to the national championship and finished as the runner-up. Following his senior season, the team got back, and this time they won the American League World Series. Despite the high school and Legion success at one of the best programs in the state, he didn’t have a lot of offers coming out of high school. He was able to make the weekend rotation for SDSU as a freshman and had a real strong career full of highlights. Following his four seasons at South Dakota State, Bray was selected late in Day 3 by the Los Angeles Dodgers. It was another dream to cross off the list of goals. He spent that 2015 season in Ogden with the Dodgers’ rookie Pioneer League team. In 2016, he split the season between the Low A Midwest League and High-A California League. He started the 2017 season back with Rancho Cucamonga where he went 7-3 with a 4.44 ERA in 26 games (19 starts). He even made one start for the Dodgers AAA affiliate in Oklahoma City. There have been many adjustments for Bray during his three-plus professional seasons. He went to spring training this year hoping to continue to work his way up the Dodgers’ organizational ladder, but one day he was pulled out of the locker room and told that he had been traded. As you would expect, there has been an adjustment to joining a new organization. On Thursday night, Bray came out of the Miracle bullpen and threw two scoreless innings. He struck out four batters. 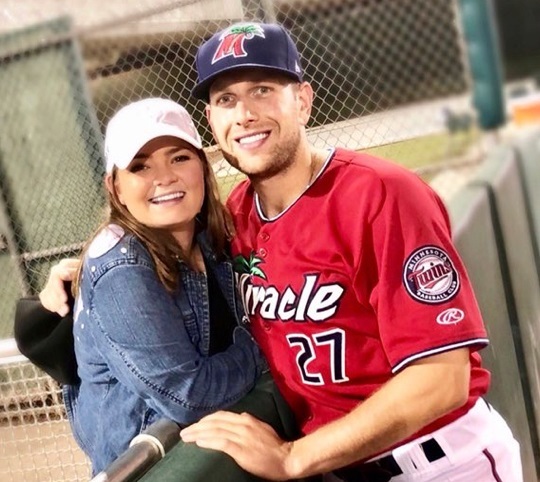 In nine outings since joining the Miracle in late June, he has worked out of the bullpen, throwing anywhere from one inning to three innings. He has posted a 1.02 ERA and a 0.91 WHIP over his first 17 2/3 innings. He has given up ten hits, walked six and struck out 17 batters. In case you were wondering, Bray is a Health Education major with a minor in Health Science. He is just a couple of credits left to earn his degree. And, most important for you to know, Bray points out that his favorite baseball movie is either The Sandlot or Moneyball. A huge Thank You to Adam Bray for taking time to answer our questions to thoroughly and completely. Please feel free to wish him well in the Comments below, and you can also ask any questions you like. Looking at his Baseball-Reference page I see something kind of unusual. His WHIP has not been at or above 1.3 since his first year and he has never had an ERA of 4.00 or higher at any level. What mix of pitches has had him doing this well? Recall EP, high school and legion, being my son's big rival back when he was playing ball.Excelsior did well against them, although that was 10 years before Bray was on that great team.Remember hearing lots about them in those back-to-back Legion Series. Do you recall what the Twins gave up to get him?Was it one of those $X trades?